Our projects employ pattern-breaking ideas to effect social change and address pressing social and environmental issues. They are experimenting with new models that show us another way is possible. Because our projects are an integral part of our center, they qualify for charitable donations and grants available only to tax-exempt organizations. They also benefit from our mentorship, business services, and the credibility and accountability that come with decades of successful, progressive social change work. Explore our current portfolio of inspiring projects below. Explore the many projects that benefit from CTA’s fiscal sponsorship. Does your project need fiscal sponsorship? According to the Centers for Disease Control (CDC), approximately 1 in 68 individuals in the U.S. is somewhere on the autism spectrum. Because adulthood constitutes most of the human lifespan, the majority of these individuals are adults. In New York City, where AFSS is based, this corresponds to a population of nearly 100,000, with closer to 200,000 in the Greater New York area, most of which have not yet been identified. A common misconception is that individuals with autism prefer to be isolated and are not interested in either friendships or romantic relationships; in fact, for most adults, nothing could be farther from the truth. Consequently, there is a need for venues where adults on the spectrum can meet others who live with the same challenges, discuss and share the difficulties that they face in various aspects of their lives in a supportive environment, and be able to simply socialize with people who perceive and interact with the world in a manner similar to their own. Also, even though unemployment statistics for autistic adults are greatly overestimated (roughly half of AFSS group members are employed at some level), they are still higher than for any other disability. As such, many will not be able to afford the kinds of group and cultural activities that AFSS is working to provide. These costs can only be met through outside contributions and donations. AFSS support groups, currently held in rented venues, allow members to discuss issues of concern to them in a group setting among other adults living with similar challenges. Each meeting starts with a specific theme chosen by the group. Past themes have included community, relationships, dating, isolation, and employment-related difficulties. For example, we have had discussions on what it means to be part of a community and on what an ideal community would be like. We then allow the conversation to evolve during the session, allowing members to relate their own personal stories to the group. AFSS social groups encourage members to go out in public with others like them and to feel more a part of and accepted in a community, and meet at different restaurants and locations throughout the New York City area. This also provides an opportunity for the greater community to see that we are no different from anyone else and fully capable of participating in society in spite of our minor differences. These groups provide a sense of community for individuals who otherwise may not have many suitable opportunities to socialize, as well as somewhere to go, on a regular basis, with a relaxed, comfortable, judgment-free atmosphere where people can be themselves amongst others sharing similar difficulties and interests. AFSS cultural events provide opportunities for our groups to attend a variety of artistic, scientific, and cultural events. These take place in museums, galleries, exhibitions, theaters, and other venues throughout the NYC area. Irma Jacqueline Ozer, Ph.D./ J.D. Brian R. C. Kinghorn, M. Phil. Anabel’s Grocery provides nutritious, affordable food for all Cornell students through a student-run grocery store and educational programs that create a fun and empowering community around quality food, food choices, wellness and positive social change. Food on campus is expensive, and the Cornell campus lacks a full-scale grocery store. For many students, a lack of time, transportation, money, or knowledge prevents them from accessing nutritionally adequate food. In a 2015 survey of Cornell undergraduate students, 22% reported having to skip meals due to financial constraints. Our approach to addressing the problems of food insecurity and the associated stigma is to operate a student run grocery store on campus with low-cost, nutritious food for all Cornell students. Additionally, Anabel’s hopes to increase nutritional literacy and cooking skills through programming events such as cooking classes and guest lecturers. Our team is made up of about 40 students from across years, majors, and colleges. Climate Changers is an interactive, international network of individuals taking uplifting and replicable actions to address climate change. Climate change doesn’t need to be a divisive, ‘us vs. them’ issue. To solve the problem and present opportunities, there is a need for an inclusive, inspiring, informing, ‘we’re in this together’ approach. Climate Changers embraces this approach. Right now, all over the world, individuals are taking uplifting actions to address climate change. We all need to know about these actions, learn from those taking them and see if we can take action ourselves. Climate Changers provides connections between these individuals and those of us who want to do something that makes a difference. Climate Changers presents individuals from business, government, organizations, communities and as global and local citizens in a way that places a powerful, human face on climate change. Here, actions are small and large – from composting and carpooling to changing political and economic policy – yet each action informs, inspires and ignites the reality that each of us can make an impact. Sharing the positive actions of people everywhere, the on-the-ground and online Climate Changers communities activate a just and sustainable future for us all. At our workshops, we share examples of individuals taking action to address climate change and then invite workshop participants to share what actions they are taking. There is an interactive exchange whereby participants realize how they can adapt or replicate the actions of others. At workshop conclusion, participants themselves will be Climate Changer candidates who can be featured on the online platform. Workshops take place at conferences, campuses, companies, communities, coffee shops – anywhere people wish to come together and share their actions. Cradle to Career is a collaborative effort of several organizations and individuals to ensure that all of our infants, children youth are healthy happy and successful. While our focus is Tompkins County some of our activities will include youth (up to 24 years old) from Seneca and Tioga Counties since TST BOCES is a critical partner in this effort. While efforts to address the needs of infants, children and youth and their families are extensive in our area, they are often disconnected and have been ineffective at eliminating root causes of distress for these families including poverty, transportation, lack of access to nutritious food and elimination of disparities in educational outcomes across race and class. Mutually reinforcing activities across sectors including: business, human service organizations, schools, government, faith communities, families and youth. TST BOCES, Child Development Council, Village at Ithaca, the Building Bridges Initiative, Dorothy Cotton Institute, Cornell Cooperative Extension of Tompkins County, Cornell’s Office of Engagement Initiatives, Collaborative Solutions Network, Tompkins County Chamber of Commerce, Ithaca Youth Bureau, Tompkins County Youth Services and The Tompkins County Health Department, Franziska Racker Centers, Early Childhood Development Collaborative, Greater Ithaca Activities Center, Southside Community Center, Tompkins County Council of Governments (TCCOG), Mamas Comfort Camp, and My Brother’s Keeper. CurrentCast is a daily, 60-second syndicated radio series and podcast about water stewardship and sustainability in the Great Lakes and surrounding watersheds. Each CurrentCast segment is a sound-rich and entertaining “information burst.” Like public service announcements (PSAs), the audio programs are designed to grab the attention of listeners and engage them in water stewardship – helping generate public support for conservation and restoration efforts. CurrentCast is currently heard on a growing network of radio stations, via podcast, on a companion website, and via social media. It is also distributed to a network of content-sharing partners for online distribution. In the Great Lakes watersheds, the need for conservation and protection is especially acute. These watersheds are part of the largest surface freshwater system in the world – a system that provides drinking water, recreation, irrigation, and transportation for tens of millions of people. Yet overdevelopment, coastal flooding, polluted runoff, and erosion are taking a toll on the ecosystem. So through education and inspiration, CurrentCast aims to educate listeners about these issues and engage them in solutions. The goal of CurrentCast is to help the general public better understand and engage in water stewardship. What makes the program unique is its sustained coverage: the segments reach listeners daily, Monday through Friday, with new information. So over time, people accumulate an over-arching understanding of the issues. A tag line at the end of each segment directs listeners to the web site, where more in-depth resources are provided. Topics covered throughout the year include water conservation, water quality, stormwater management, restoration efforts, species conservation, aquatic ecosystems, agriculture and water use, nutrient runoff, water and energy, water and climate change, tips for personal water conservation, and more. Through careful selection of story topics, CurrentCast helps the audience understand how these issues impact everyone and what steps they can take to make a difference. CurrentCast is produced by Bridgett Ennis and Erika Street Hopman of ChavoBart Digital Media (CBDM). CBDM is a production firm with a focus on scientific and environmental media. In addition to CurrentCast, CBDM also produces Climate Connections, a nationally syndicated radio series about climate change, which the company produces and distributes on behalf of the Yale Center for Environmental Communication. Climate Connections is heard on more than 300 radio stations nationwide. Bridgett Ennis has been involved in the editorial production of short-form scientific and environmental radio programs and podcasts for more than 18 years. Prior to founding CBDM, Bridgett was a Vice President at Finger Lakes Productions International – a company which produced and distributed media to more than 600 radio stations during its 25-year history. Bridgett worked directly with representatives from the Joint Ocean Commission Initiative, The Ocean Conservancy, the National Oceanic and Atmospheric Administration, the American Society for Microbiology and more to meet their outreach needs. Bridgett also managed the planning and launch of the Everglades Radio Network, which highlights the restoration efforts taking place in the Florida Everglades. As project manager for Our Ocean World and MicrobeWorld, Bridgett oversaw the writing, production, and distribution of these nationally-syndicated daily radio series. Bridgett holds a B.S in Community Health from Ithaca College, and a M.A. in Business Policy from SUNY Empire State College. She is an avid gardener and loves hiking through the Finger Lakes. Erika Street Hopman has diverse media experience that includes work in video, radio, and print. Before founding CBDM, Erika served as a project manager at Finger Lakes Productions International, where she oversaw the writing, production, and distribution of the nationally-syndicated radio series The EnvironMinute and Animal Instincts. She also managed the ongoing production of the Everglades Radio Network, which highlights the restoration efforts taking place in the Florida Everglades. An independent documentary filmmaker, Erika’s documentaries and short films has been shown internationally at film festivals and broadcast on outlets such as LinkTV and AlJazeera English. She is passionate about environmental issues and has volunteered for the US Fish and Wildlife Service, served on the board of the Friends of the Montezuma Wetlands Complex, is a member of the steering committee for her local community garden, and acts as the Treasurer for the Shabbona Park Advisory Council. Erika holds a BA in Biology from Cornell University and an MFA in film production from Boston University. The Atkinson Center for a Sustainable Future (Atkinson Center) at Cornell University is the editorial partner for CurrentCast. As such, the Atkinson Center helps direct the overall content for the initiative through regular story idea brainstorming sessions, and by approving all topics and scripts before production. The Atkinson Center is the only academic institution in America that unites the three pillars of sustainability — energy, the environment, and economic development — in one center. Its major grant programs and activities spark unusual collaborations that spur new approaches, techniques, and technologies so that the today’s seeds of knowledge can grow into tomorrow’s solutions. But good research is not enough on its own. The Atkinson Center’s priority is to engage with external non-academic partners to jointly bring discoveries to bear, to maximize real-world impact. The Committee on U.S.-Latin American Relations (CUSLAR) works for peace, justice, and greater mutual understanding in U.S.-Latin American relations through education, solidarity and support of human rights. CUSLAR supports the right of the people of Latin America and the Caribbean to self-determination, and supports their efforts to free themselves from a legacy of colonialism, exploitation, and oppression. Many want to make a difference or make change in some way, be it in economic, political, environmental or cultural spheres, on the level of neighborhoods or at the level of policy. However, the general public and policymakers alike have difficulty making sense of increasingly complicated realities in the hemisphere. CUSLAR is a Cornell-University based educational organization that brings together students, researchers and social movement leaders from around the Americas to grapple with pressing issues. Different constituencies learn from each other, drawing lessons from history and current events to inform social action. Tim Shenk is a journalist, Spanish-English interpreter and artist. He was a Fulbright Scholar in the Dominican Republic in 2006-07 and lived in Santo Domingo, DR until 2010, working as a researcher at el Centro de Estudios de Género at el Instituto Tecnológico de Santo Domingo (INTEC) and participated in the organization Justicia Global. Tim is a 2004 graduate of Earlham College, holding a B.A. in Spanish and Hispanic Studies. He grew up in Goshen, Indiana. The CUSLAR Advisory Board is made up of Ithaca-based community members, many of whom have affiliations at Cornell University, Ithaca College and Syracuse University. Undergraduate and graduate students are the backbone of CUSLAR and have been for over half a century. Students can have a range of affiliations with the organization, ranging from membership in the CUSLAR Student Club to volunteers to work-study interns. CUSLAR has students from Cornell University, Ithaca College and Elmira College. Discover Cayuga Lake provides experiential learning opportunities that promote academic achievement, environmental literacy, and lifelong relationships with the waterways that define our communities. We aim to engage individuals and empower communities throughout the Finger Lakes. Perhaps more than ever before, the coming generation will be challenged to sustain water resources both globally and here in the Finger Lakes. Unfortunately, many young people have surprisingly little opportunity to interact with, or gain understanding of, the lakes and streams in their own backyard. Field trips are expensive for schools, and public access is limited by retaining walls, transportation, private property and concern over liability. We believe that young people, regardless of background, must have more opportunities to experience the resources upon which they ultimately depend. “In the end we will conserve only what we love, we will love only what we understand, and we will understand only what we are taught.” – Senegalese conservationist Baba Dioum. Discover Cayuga Lake uses three primary educational platforms. Through the Floating Classroom, we offer highly interactive “eco-cruises” during the warm months for over 1500 students each year. We also coordinate the Finger Lakes “Trout in the Classroom” program during the colder months. And, starting in the summer of 2018 we will be launching our public boat tours and ecotourism initiative on our new boat, the Teal. Presently, we help over 50 classes at 18 schools raise and release trout to local streams. These programs encourage inquiry-based learning, citizen-science, and the development of a personal relationship with elements of our aquatic environment. We look forward to expanding our educational offering through the new boat tours and ecotourism initiative this summer. Additionally, we offer internships for high school and college students throughout the year, and maintain a scholarship fund to ensure that all schools and communities have access to our programs. 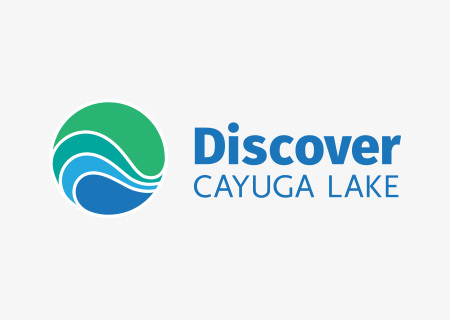 The Floating Classroom was founded in 2003 (rebranded as Discover Cayuga Lake in 2018), by volunteers acting on behalf of the Cayuga Lake Inter-municipal Organization. Bill Foster became the Director in 2008 and has worked with our Advisory Board to bring the organization to its present level of operation. The Advisory Board is currently chaired by Jeffrey Werner. Our staff includes Program Manager Lee Yoke Lee, who plans class visits and oversees our intern program, and seasonal instructors Chase Lurgio and Caroline Hoover. Our Volunteer Coordinator, Phil Koons, accommodates a growing community of “Trout in the Classroom” mentors. We will introduce a new vessel, the Teal, to Cayuga Lake in the summer of 2018, and anticipate a substantial increase in staffing, including ship’s captain and crew and interpretive educators. The Dorothy Cotton Institute (DCI) honors the legacy of an important Civil Rights leader, Ms. Dorothy Cotton. exploring, sharing, and promoting practices that transform individuals and communities, opening new pathways to peace, justice and healing. The Dorothy Cotton Institute will address three major problems regarding human rights. Efforts to achieve human rights are largely disconnected from each other and have not generated a popular movement on a global scale. The lessons learned from past and current struggles are too often not being documented and passed on to support other human rights efforts. These lessons need to be captured, organized and disseminated to people who sorely need this information to support their own struggles to claim and exercise their human rights. The Dorothy Cotton Institute through its training and education programs, education and visitors’ center, gatherings, youth leadership and fellowship programs, Becoming A Human Rights Friendly School project, and support for local organizing efforts will provide an integrated approach to developing a global network and community of human rights leadership. These programs are also designed to foster and encourage a well-informed and inspired critical mass in the public, particularly in the United States, to spark and energize a global human rights movement toward the achievement and exercise of human rights for all people. We also host a variety of events: comedy, music, film screenings, trainings and workshops. To hear about events, programs, and search our collection visit www.alternativeslibrary.org. To understand the alternatives we must also understand the mainstream. A powerful river has this incredible momentum – crashing its way forward, almost ignorant to its surroundings. The fastest moving part is the mainstream, whereas the edge areas have eddies, pools, flora and fauna. There are a few creatures who experience the mainstream without being carried away. We approach social change through this lens – and we understand that even though the mainstream has momentum, it’s often the edges where change begins. Our strategy is to strengthen those edges. Perspective is everything… even just knowing what is possible can completely change the course of history. Our strategy for social change is to amplify the voices of innovation, struggle, resistance, and social justice. Through our unique collection, services, and programming, we provide critical infrastructure for social action. Our full-time staff is Ryan Clover-Owens (library director) and Gary Fine (program director) and advisory board is Kara Timmins (board chair), Cady Fontana, Treacy Ziegler, Stephanie Langer, Megan Cosgrove, Mel Casano. Ryan Clover-Owens has been experimenting with alternative lifestyles since his teenage years in housing collectives and forest-defense campaigns. Now he provides technical and design support to grassroots organizations, authors, and educators. He started working at the library in 2012 and has since moved to an off-grid cabin thanks to the books available in the collection. Gary Fine has been working at the library for over 15 years and is now the program director, focusing mainly on Prisoner Express, a correspondence program he started from scratch. There are now over 4,000 enrolled members engaged in many of the projects. These range from poetry anthologies, visual arts, journal, chess club, and book packages. The Ethical Shareholder Initiative (ESI) educates and empowers real shareholders to work together to help corporations protect our long-term interests in sustainable profits earned while respecting people, the planet, and our political system. Business corporations are among the most powerful institutions on the planet today, with enormous potential to help us solve our most pressing social, economic, and political problems, and more than half of all U.S. households own stock in corporations, either directly or through mutual funds and retirement accounts. Our stock ownership gives us tremendous collective power to influence what corporations do with the $40,000,000,000,000 in assets they control. But today, the corporate system makes it hard for average shareholders to use their power. At ESI, we seek to develop that potential, and help corporations shift their focus from short-term financial results to ensuring better long-term returns and greater benefits for consumers, employees, communities, and the planet. Ethical shareholders can play a critical role in helping corporations play a positive role in our society and economy. By inspiring, informing, and amplifying the voices of real shareholders, ESI helps corporations serve our real values. Lynn Stout – Founder and Director. Diogo Magalhaes – Executive Consultant. We are ‘global citizens’ who are interested in addressing economic, health, and social inequalities at the household, community, and national levels within the agri-food system. This long-term project of solidarity supports the non-profit farmer-led organization Soils, Food and Healthy Communities Malawi (SFHC) to build sustainable, healthy, equitable, resilient communities and food systems in Malawi through awareness raising, fundraising, knowledge exchange, and visits between North Americans and Malawian collaborators. Malawi, located in southeastern Africa, has a current population of 16.4 million, over 80% of whom live in rural areas and rely on agriculture for their food and livelihoods. Malawi is one of the poorest countries in Sub-Saharan Africa, with an estimated per capita income of $US270, over 70% of the population living below the poverty line, and higher poverty rates in rural areas. An estimated one-third of Malawian households experience chronic food insecurity and calorie deficiencies. High rates of gender inequality in Malawi has contributed to these high rates of food insecurity and malnutrition, as women have little control over agricultural decisions, experience high levels of physical violence, and have lower education and training opportunities. SFHC works to empower smallholder farmers in Malawi to build sustainable, healthy, equitable, resilient communities. SFHC uses farmer-led, participatory research, ecological approaches to farming, local indigenous knowledge and democratic processes, while addressing economic, health and social inequalities at the household, community and national levels in Malawi. Friends of SFHC are academics, farmers, students, journalists, nutritionists and community members in North America who believe that the participatory, democratic, ecological, farmer-led approaches spearheaded by SFHC are critical in building a resilient food system. We aim to provide opportunities for engaged citizens in North America to learn about the work being done by SFHC, and the issues they are fighting more broadly, and to contribute to this work through fundraising, and information sharing. Some of the advocacy efforts are focused on increasing government and non-profit support for agroecological, community-led efforts to address food security and nutrition in the Global South, and for not supporting policies and programs that work directly against such an approach. We also plan to arrange for training and speaking opportunities in North America for partners at SFHC. These opportunities would further build and strengthen these relationships while continuing to grow the international profile of this work and further develop expertise within SFHC. Groundswell Center for Local Food & Farming offers affordable courses, training programs, land access, and one-on-one consultations for growers and food producers in the Finger Lakes Region of NY. We work to address inequalities in the food system by integrating equity and justice work in all of our programming and prioritizing support for refugees and underrepresented producers. Guided by our commitment to a just and sustainable food system, our programming is led by farmers and mentors active in food, farming, and social justice. The average farmer in the United States is 58 years, white, and male. The aging farming population urges the need for programs that support the next generation of farmers in starting and growing profitable and sustainable businesses. Fortunately, the Finger Lakes is renowned for its vibrant local food economy and is home to a plethora of profitable and ecologically-sound farm and food businesses. However, the current food system landscape falls short in addressing inequity and injustice and fails to reflect the diversity of this region. There are numerous barriers and risks for all beginning farmers, yet historically systemically marginalized groups may face additional barriers including language difficulties, lack of financial resources, and discrimination, which prohibit equal access to education, loans, and resources. Moreover, few farms and organizations supporting farmers have the tools and resources to integrate topics of equity and justice into their business model or current trainings within a rural context. Groundswell Center addresses inequalities in the food system and supports producers to launch and expand businesses by offering programs that support diverse beginning farmers, educating current farmers and the public about food justice, and collaborating for change. The Farm Business Incubator Program provides affordable land, equipment, tools, mentoring, training and business support to limited-resource and underrepresented aspiring farmers – including immigrants, refugees, people of color, women, and people with disabilities. The program is an ideal, low-risk way to explore or start a farm business concept and build self-sufficiency. Groundswell also organizes courses, workshops and networking groups to support start-up and growth of farm and food businesses that not only build technical skills but also incorporate discussions and training regarding food justice. Groundswell works collaboratively to hold community events and conferences that promote learning and discussion about our local food system. Groundswell Center was founded by Joanna Greene in 2010. After her retirement, Elizabeth Gabriel took on the role of Director, Kate Cardona is Outreach and Equity Coordinator, Liz Coakley is Incubator Farm Program Manager, and Natalie Hughes operates as Development Manager. Groundswell also contracts with hundreds of farmers and community organizations to facilitate workshops, serve as mentors to incubator farmers, host tours, organize events, speak at conferences, and more. Groundswell Center’s work and mission is driven by a volunteer Advisory Board that guides organizational decisions, a Development Committee that creates and implements fundraising strategies, an Incubator Farm Committee that supports a successful Incubator Farm program and an Equity & Accountability Committee, of which community leaders of color evaluate and provide feedback to Groundswell as we strive to build an equitable and diverse organization. Human rights is a concept not well-understood in the United States and human rights concepts are not an integral part of education in public schools nor in teacher training programs. Ithaca City of Asylum (ICOA) is a community organization dedicated to providing sanctuary to writers whose works are suppressed, whose lives are threatened, whose cultures are vanishing, or whose languages are endangered. ICOA is a member of the International Cities of Refuge Network, one of only two member cities in the United States. Formed in 2001, ICOA has hosted writer, poet, and essayist Yi Ping (China); the late playwright and novelist Reza Daneshvar (Iran); poet and memoirist Sarah Mkhonza (Swaziland); poet and playwright Irakli Kakabadze (Georgia); journalist Sonali Samarasinghe (Sri Lanka), and Raza Rumi (Pakistan), a journalist and memoirist. In many places in today’s world, writers face persecution for the statements they make in their art. Every writer who is silenced means one less voice to speak for thousands more against oppression. ICOA hosts one writer at a time (plus family members) for a two-year residence in partnership with a local institution of higher learning. Currently, Ithaca College takes on our writer as a visiting faculty member in the Honors Department; Cornell University has hosted past writers and currently provides substantial financial sponsorship. Our visiting writers teach, share their work through public events, and form alliances with community organizations. The writer benefits from a place to live, time to write, financial support, and friendship. Ithaca gains the perspective, friendship, and artistry of each visiting writer. ICOA is a volunteer board of up to 20 members. As one of the world’s largest and most dynamic co-housing communities, EcoVillage Ithaca (EVI) has unparalleled potential—and a responsibility—to be a global leader in shaping a sustainable future. Learn@EcoVillage serves as the education and outreach arm of this internationally renowned sustainable community. Our mission is to provide transformative learning experiences for growing healthy, just and sustainable communities both locally and globally. We support and draw from a variety of practical and visionary resources, especially the living, learning community of EcoVillage Ithaca. Today’s complex challenges—climate change, social and economic justice, an aging population—must be approached as parts of an interconnected and interdependent system of human endeavors and hopes. EVI is a model for a new way of living. Our three neighborhoods are evidence that we can achieve meaningful change in our relationship to people and our planet. Learn@EcoVillage, the public arm of EVI, provides programs based on real-life experience for diverse audience groups, from the local to global. We conduct tours, workshops, and experiential educational activities and establish partnerships with social-movement and industry leaders. We work with regional partners to bring the latest in renewable-energy residential “green building” to industry professionals. Learn@Ecovillage interfaces with national and international media and supports the creation of ecovillages around the world. Liz Walker, Director, is also the co-founder of EcoVillage Ithaca, and has worked for the last 26 years to bring this dream to reality. She has published two award-winning books, and is a nationally known speaker, and workshop leader. Arlene Muzyka serves as Assistant to the Director and as the Visit Coordinator . She brings a wealth of non-profit experience, and provides a friendly and professional presence to the 1,000 visitors we host a year. The Local Investing Resource Center’s mission is to help expand local investment into small businesses and nonprofits nationwide by offering online educational resources and public advocacy for local investing. Local investing benefits communities by helping them to become more financially self-sufficient, keeping their citizens’ investment dollars circulating in the local economy instead of being parked in banks and brokerage accounts, and by building networks of trusted local relationships. Small businesses and nonprofits in a wide range of industries, including small farms, manufacturers, retailers, and service providers, have been recipients of local investment in many successful initiatives around the country. Our ultimate goal is to help build a thriving culture of local investing in communities everywhere, catalyzing a locally-powered economic revolution that will help create a more just and sustainable society for ourselves and future generations. On our website, we focus on supporting investors, for- and non-profit entrepreneurs, and community organizers by providing free step-by-step guides to all aspects of local investing. Our team speaks publicly at conferences and other gatherings, and gives interviews on local investing issues. We support our project financially through the generosity of donors and the sale of tax-deductible memberships. Our project director is James Frazier, Certified Financial Planner™, a financial advisor specializing in Socially Responsible Investing (SRI) and Impact Investing with Natural Investments LLC, and a founding member of LION (Local Investing Opportunities Network) of Port Townsend, WA, whose members have invested over $7 million locally since 2006. Our Advisory Board members are Michael Shuman, noted author, speaker, and Fellow at BALLE (Business Alliance of Local Living Economies); Jenny Kassan, securities attorney specializing in local investing and CEO of Cutting Edge Capital; Amy Pearl, Founder and Executive Director of Springboard Innovation; Greg Pitts, financial advisor with Natural Investments; and Michael Brownlee, local investing catalyst and co-founder of Local Food Shift based in Boulder, Colorado. The Thomas A. Lyson Center for Civic Agriculture and Food Systems supports the collaboration of scholars, professionals, and active residents engaged in food systems–based community development. It is named in recognition of the contribution of Dr. Thomas Lyson as an inspiration, mentor, colleague, and citizen who put his words into action. Tom Lyson’s research, writing, and teaching on civic agriculture, agriculture of the middle, the Goldschmidt thesis, and industrial agriculture were highly influential; they continue to underpin the work of food systems researchers to this day. The Lyson Center’s key activities include publishing the Journal of Agriculture, Food Systems, and Community Development — the only transdisciplinary scholarly journal focused on food systems–based community development — and facilitating development of the North American Food Systems Network (NAFSN), a professional development community of practice for nonprofit and government staff, academics, and citizens who are working in their communities on food system initiatives. A key project of NAFSN is the creation of a training and certification program for U.S. and Canadian practitioners working on regional food systems development. The number of local and regional food system development projects throughout the world, especially in North America, is growing dramatically. However, much of the current work in food systems development lacks established foundations for practice. Many issues limit the impact of the most innovative projects like food hubs, midscale value chains, farm-to-school programs, and shared-use kitchens. Relying heavily on biased, unsubstantiated, or otherwise non–research-based information, such as blogs, word of mouth like presentations, and informal reports and other gray literature, despite their important role in sharing ideas and strategies. Experts on top rather than on tap: experts lead a project and assume that buy-in is enough, rather than securing leadership and ownership of a project by those it is intended to benefit. Painting problems in overly simplistic terms that pit project stakeholders against each other. Food is a basic need that all people share and around which vital social and economic activities evolve. We see regional agriculture and food systems as a lens through which stakeholders can understand community challenges, opportunities, and processes, and with that understanding make transformative change in their own community and wider society. Yet we often see disparate and sometimes even competitive efforts. For example, there is a gulf between farm advocates (who desire fair prices to support livelihoods) and food security advocates (who desire affordable food). Finding viable supply chain models that bridge the interests of both needy family farmers and needy eaters has been elusive, and sometimes reveal dichotomies such as rural poor vs. urban poor, black vs. white, foodie vs. hungry, and organic vs. conventional. However, by fostering constructive discourse across ideologies and creating opportunities to work toward a positive shared vision, the Lyson Center is helping to navigate a “middle way” in food system theory and praxis. The Lyson Center does not provide direct services in communities of need. Instead, we see ourselves as part of the critical support infrastructure for the good food movement, similarly to foundations, funding agencies, national advocacy organizations, and the like. By publishing JAFSCD, we provide not only a publishing outlet for scholars and cutting-edge practitioners, but also a conduit through which the two can share and reflect on their challenges and opportunities to address tough problems at the local and regional levels. By facilitating NAFSN, we believe that the improved knowledge and skills of practitioners are likely to lead to more effective and efficient programs, and ultimately to more sustainable and transformative food systems. building the capacity of communities to engage in cutting-edge food system development work. Organizing strategies that we engage in include reducing the silos of activities; encouraging institution-building; coordinating effort across national programs; encouraging virtual community development, professional development, communities of practice, organizational partnerships, core competencies, and best practices; building networks; and supplying research-based information. Loretta Carrillo, retired, Latino Studies Program and the department of Romance Studies at Cornell University. Cheryl Danley, community food systems specialist in Detroit, Michigan. Ardyth M. H. Gillespie, retired, Community Nutrition Program in the Division of Nutritional Sciences at Cornell University. Amy Guptill, professor and chair of the Sociology Department at the College at Brockport, State University of New York (SUNY). Heidi Mouillesseaux-Kunzman, senior extension associate with the Community and Regional Development Institute (CaRDI), Development Sociology, Cornell University. Craig Chase, director, Marketing and Food Systems Initiative at the Leopold Center for Sustainable Agriculture and the Iowa Food Systems Working Group for Iowa State University Extension and Outreach. Gilbert W. Gillespie, Jr., retired, Development Sociology, Cornell University. Mama’s Comfort Camp (MCC) is a peer support network created with the intention of improving maternal health through the facilitation of meaningful connections. MCC uses the power of social media forums to create a uniquely kind culture that strengthens mothers and families and increases community resilience. By providing a safe space for peer support and honest conversations, the struggles of motherhood are normalized. Reducing isolation, disarming guilt, shame and blame, alleviating depression and anxiety, and facilitating deep and lasting friendships, strengthens the community and improves maternal and family mental health. This is a surprisingly effective (and cost-effective) mechanism. Maternal guilt, shame, and isolation cause extreme stress to mothers and families, often resulting in depression and anxiety at a great cost to family and community. Well-meaning unsolicited advice can be hurtful and sometimes destructive to new mothers. When humans are hurting, the foremost needs are to be seen, heard, and held. Maternal suicide is highly correlated to the presence of acute guilt and shame. Disarming these emotions saves lives. We provide lovingly moderated online peer support forums that adhere to a unique set of respectful and kind community guidelines and boundaries. One forum is for emotional support issues for mothers around the world; another forum is for using online communications to facilitate real-world interactions and mutual assistance in the Ithaca area. Since it was founded in 2012, Mama’s Comfort Camp has offered online peer support at all times: 24/7/365. We also hold local events in the Ithaca area that support and strengthen the community. MCC supplements mental health services in many ways: even those who have the financial ability and the courage to seek therapy and if need be medications rarely see their providers more than once a week. Having constant access to peer-to-peer emotional support, regardless of time, place, financial ability, or transportation is truly revolutionary and unique. For those who don’t have access to mental health services, MCC is the closest thing to mental health support — always available, and totally free. Yael Saar, Founder: is a mama on a mission to remove the guilt, shame, and blame from the parenting experience, in order to make room for connection, love, and (all the) rest. As a postpartum depression survivor, she became a mothers-support advocate and is passionate about reducing maternal isolation and normalizing the asking for help while building a community that provides it. Yael, a mother of two boys aged 8 and 13, founded Mama’s Comfort Camp in 2012 to provide a judgment-free support network for moms of kids of any age: from new moms to grandmothers, and every stage in between! Hannah Shayler, Lead Moderator (“Den Mother”) works with a team of volunteers to uphold Mama’s Comfort Camp as a unique safe space as the group evolves. Hannah also works as an Extension Associate at Cornell University, where she coordinates the “Healthy Soils, Healthy Communities” research/outreach program to help lessen the impacts of soil contaminants through healthy gardening practices. She has a 5 year old son. Celeste Ptak, Lead Moderator has been a member of MCC from the very beginning in 2012 and has enjoyed her role in helping transform it into the unique space that it is where all moms can get support and validation through the struggles of motherhood. Celeste received her PhD in biological chemistry in 2005; however, motherhood has created a new path in her life. She is the mother of 4 children, a 9-year-old daughter and 6-year-old triplets (girl/boy/boy). Erica Marx: (Board President, owner, Courageous Communications, certified mediator) communications and community outreach, online program design and delivery, systems management, mediation. Susie Hatch: (Formerly: The Law Guardian’s Office) nonprofit long-term view, grant writing, long history of action in the local human services community, relationships with seniors in our community. Gretchen Samter: development, grant writing, moderation support. Sally Manning: (Franziska Racker Centers) child development, community mental health issues. Gregg Pitts: (Natural Investment) financial advice, budget planning, governance. Kate Downs: planning, marketing, outreach, moderation support. Diane Hamilton: (Greenstar, Om Child Yoga) volunteer management, human resources, community relations. Elizabeth Stilwell: (Formerly: Family Reading Partnership) organizational design, early childhood advisor. Yamila Fournier: (Formerly: Ithaca Children’s Garden) long-term planning, volunteer management, community outreach. The Memory Maker Project uses a combination of ideas from experts in education, neurology, psychology and sociology to develop simple, interactive and meaningful artistic experiences for our friends, family and neighbors living with memory loss in NY’s Southern Tier. People living with Alzheimer’s and other forms of memory loss are often isolated and lack opportunities for meaningful social engagement. This phenomenon fuels emotional symptoms of memory loss, like anxiety, apathy and depression. After a diagnosis of Alzheimer’s or another type of dementia, a person can continue to live a life filled with meaning. We provide access to the arts, increasing social engagement and personal expression while decreasing symptoms associated with memory loss, such as anxiety, apathy and depression. In this way people with memory loss can share their stories, connect with others, and enjoy a wonderful quality of life. Florien Fasseur, Program assistant, social worker, and our resident Belgian. Farrah Schiff, Marketing consultant and Jack of all trades. Alisha Sickler-Brunelli, Adjunct Lecturer in the Department of Art and Design at Binghamton University, Director of KAPOW! Art Now, and graphic design guru. Marcia Craner, Lecturer in CCPA Student Affairs Administration at Binghamton University and development wiz. Anne Larrivee, Librarian at Binghamton University and research enthusiast. Dan McCormack, Research Associate at the CCPA Dean’s Office at Binghamton University and grant writer connoisseur. Dara Riegel, Internship and Career Consultant at Binghamton University, marketing mastermind, and Christina’s big sister. The fashion industry is rife with labor abuses. From models to garment workers, the industry’s mostly young, female workforce is faced with a range of labor-related issues, from sexual harassment and pressures to be extremely thin, to lack of transparency and accountability across global supply chains. The Model Alliance promotes fair treatment, equal opportunity, and sustainable practices in the fashion industry, from the runway to the factory floor. By assisting models and other stakeholders in understanding the laws applicable to them, and by encouraging them to have a voice in their work, the Model Alliance identifies common areas of concern in the fashion industry, conducts strategic research with leading research institutions to inform policy initiatives, and educates the industry and the public about our core issues. Sara Ziff is the founding director of the Model Alliance. She has worked as a model for nearly two decades and produced the feature documentary Picture Me, which chronicles her and other models’ experiences of their industry. Sara spearheaded and oversaw efforts to extend labor protections to child fashion models in New York State. She also helped to draft and introduce legislation that would create the first federal protections for child performers. She has worked with Kalpona Akter of the Bangladesh Center for Worker Solidarity and the International Labor Rights Forum to promote better working conditions for garment workers. Sara received her B.A. from Columbia University and her M.P.A. from Harvard Kennedy School of Government. The Periwinkle Humanities Initiative (PHI) is a public humanities and engagement initiative dedicated to preserving the memory of enslaved Americans. The public memory of enslaved Americans is often disregarded as culturally and historically insignificant. Cultural spaces associated with many enslaved communities are consistently lost to time, societal neglect, or simply covered over by “progress.” Saving and preserving these sacred sites (and the memory of enslaved Americans) is crucial in understanding our complete historical narrative and the contributions made by the enslaved. Periwinkle Humanities Initiative (PHI) creates and develops education and public works (digital.creative.media) that foster a public understanding of American slavery and its legacies. A core project of PHI is the National Burial Database of Enslaved Americans – a national repository which will document individual burials and burial grounds of enslaved Americans. Sandra Arnold is a public historian from rural Tennessee where members of her family were once enslaved and survived the Jim Crow era. She earned her B.A. in History from Fordham University and is currently the Graduate Fellow for the Study of the Public History of Slavery at Brown University, sponsored by the Center for the Study of Slavery & Justice and the John Nicholas Brown Center for Public Humanities & Cultural Heritage. She has co-produced public programs on slavery with the United Nations Department of Public Information, and given talks to various schools and universities on the importance of preserving the memory of enslaved Americans. Her additional research interests include racial reconciliation and underrepresented narratives. Prisoner Express (PE), a program of the Durland Alternatives Library, creates opportunities for incarcerated men and women to receive information and education. PE provides its’ members with a public forum for creative self-expression. Millions of men and women are incarcerated with little opportunity to improve their life skills and education. Incarceration in most state and federal facilities is a prescription for emotional and mental breakdown and disorder. Without intervention, many incarcerated people are prime candidates to be re-incarcerated after release. Education and inclusion in creative projects are tools to help change this pattern. Prisoner Express creates interactive distance learning programs in poetry, prose, and journal writing, science, math, history, chess music and art for the 4000 current active members. We also create customized book packages based on individual requests. We are throwing a lifeline to men and women who are interested in developing their minds, improving their communication skills and accomplishing productive tasks. Seeing their writings and art and in our publications, improves the prisoners’ self-esteem and gives them the confidence that they can succeed. They are feel heard and cared for, which provides a sense of belonging. Prisoner Express utilizes student workers provided by the Cornell Public Service Center and Ithaca College, student volunteers, and community volunteers to create and distribute our programs. The Queer Detainee Empowerment Project (QDEP) is a community-based organization in New York City that supports LGBTQI and HIV+ individuals coming out of immigration detention to secure health and wellness, education, legal, and emotional support services. QDEP undertakes detention center visitation, provides case management, and undertakes community organizing and advocacy. LGBTQI persons and their allies often face serious physical and legal threats in their countries of origin, including persecution because of sexual orientation, gender identity or identity (SOGIE), or because of HIV status. While the U.S. recognizes SOGIE-based asylum claims, many LGBTQI and HIV+ immigrants face constraints in accessing information about the asylum process, or legal support necessary to file asylum claims. The increasing focus on detention and deportation in U.S. immigration policy exacerbates the vulnerability of LGBTQI immigrants, who are disproportionately at risk of physical abuse and sexual violence inside of immigration detention. With its focus on protecting and building power among LGBTQI and HIV+ immigrant detainees, QDEP was established in 2013 in response to a gap in culturally competent services for LGBTQI and HIV+ immigrants coming out of immigration detention. QDEP organizes around the structural barriers and state violence that LGBTQI detainees and other undocumented persons all too often face in relation to their immigration status, race, sexuality, and gender expression or gender identity. QDEP is committed to assisting individuals in building lives outside of detention, breaking down the barriers that prevent folks from building fulfilling and strong lives, and keeping queer and trans immigrant families together by demanding an end to deportations, detention and policing. With its focus on the protection and empowerment of LGBTQI and HIV+ immigrant detainees, QDEP has a unique role within the grassroots immigrant movement, both in New York and nationwide. QDEP works to build a trans and queer narrative, enhancing the dialogue and activities within the immigration justice and prison abolition movements, as well as ensuring a safe space for persons of all national origins and immigration statuses within LGBTQI movements. QDEP is an active member of the Detention Watch Network, the International Detention Coalition, and the National Prison Divestment Campaign Steering Committee. QDEP provides its members access to information on policy issues that affect them as immigrants and as LGBTQI persons, and advocates for justice for all persons and families who are affected by US immigration laws and policies. Ending detention of all immigrants is a strategic advocacy goal for QDEP, with priority given to immediately abolishing detention for LGBTQI immigrants who face the greatest risks for physical and emotional abuse while in detention. QDEP advocates for an end to the isolation and segregation of transgender immigrants (the so-called “GBT pods”) in detention, a practice that is tantamount to psychological abuse. QDEP has worked with other immigrant rights advocates to advocate for the New York City Council to pass resolutions in support of humane alternatives to immigration detention, including the elimination of solitary confinement for all immigrant detainees. Jamila is a queer first­ generation Tunisian­ Muslim Arab American Gender non- conforming hard femme of color community organizer & social worker from the south, now based in NYC. They are the founding Executive Director of the Queer Detainee Empowerment Project. They are a graduate of the Silberman School of Social Work at Hunter College with a degree in Community Organizing Social Work, with a specialization in Immigrants and Refugees. They come to this work with personal and familial experiences with the incarceration/ immigration system, a background in reproductive justice, working to center woman of color’s, queer and trans voices in movements, and witnessing the impacts of migration and racialized violence in their formative years in Texas. Jamila is a survivor of police brutality, Rikers Island jail and the carceral system. Jamila is also an organizer of the NYC chapter of Black & Pink, an organization run and led by those that are currently, or are previously incarcerated, and free world allies. Jamila is the recipient of the 2016 National Association of Social Workers of New York Emerging Leadership Award, 2017 Metropolitan Church of New York HEART Award, and the 2017 Honoree of the NYC City Council LGBTQ Champion of LGBTQ Rights. Ojiugo Uzoma (Interim Chair), African Communities Together Program Manager; Organizer. Cultural background: Nigerian, Black, Cis-Woman, formerly undocumented immigrant.
. Cultural background: White, queer, cisgendered man, beneficiary of the Marriage Equality ruling, and is married to his partner that was undocumented in the US for close to 20 years. Regina Elizabeth King, QDEP Member. Cultural background: Black, Transgender woman, Guyanan immigrant. Chelo Silva, QDEP Member and volunteer supporting Prisoner Project. Cultural background: Mejicano immigrant, Transgender man, previously detained and asylee.
. Cultural background: Latina, heterosexual, cisgendered woman.
. Cultural background: Dominican immigrant, Cisgendered bisexual Latina, previously incarcerated & permanent resident.
. Cultural background: Black, gay, Jamaican immigrant, cisgendered. Krista Perez (Treasurer), Spark Foundation, Board of Directors; Vice President, Morgan Stanley International Wealth Management. Cultural background: Latina, heterosexual, cisgendered woman. The purpose of the Vitamin L project is to spread love and goodwill, and to encourage positive character development through music, by inspiring young people with messages that are meaningful in their daily lives. We founded Vitamin L in 1989 because we believe that there is an urgent need to encourage positive character development in children. Vitamin L encourages positive character development through concerts, recordings and videos of songs written by co-found Jan Nigro. When the positive messages in the Vitamin L concert songs encourage empathy, tolerance, respect, cooperation, kindness, perseverance, non-violent conflict resolution, resisting peer pressure, and sensible decision making, seeds are being planted. Every child that internalizes these concepts with the help of the Vitamin L program will benefit the community when you understand that Vitamin L is a prevention program. The more we can instill positive character development in young children, the less we will have to deal with serious problems in the teenage years and beyond. Jan Nigro, Songwriter/singer and co-founder, wrote all of the Vitamin L songs and has performed with Vitamin L in over 1,100 concerts since 1989 when he co-founded Vitamin L with his wife Janice. Janice Nigro, Director and co-founder, has been drawn to work for justice, love, peace, and brotherhood since her childhood. She was very fortunate to have been strongly influenced by the teachings and the life of Dr. Martin Luther King, Jr. since she first met him when she was five years old. She grew up in an activist household in Atlanta, Georgia in the midst of the civil rights movement and was inspired by the example her parents set. It was natural for her to want to work for the good of humanity and to work to encourage awareness of the world as one family. Later, her personal studies of various spiritual approaches to life strengthened her determination and decision to do her best to add to the love and light in the world. She has always loved music and a variety of musical styles. Her work in Vitamin L combines her love of music and working with youth with her personal philosophy of being proactive about positive social change. The Youth Farm Project is committed to empowering youth to be integral participants in building equitable local food communities. We realize this through farm-to-school programs for elementary students, providing fresh fruit and vegetable snacks to local elementary schools, by employing teens in our summer program, and by providing access to fresh produce to neighborhoods where it is not already accessible. Food and food access are areas in our society controlled by power dynamics. Young people’s voices are often talked over, or silenced. The Youth Farm Project works to address the power dynamics in the food system, and give young people a voice in the solutions. The farm is a place where youth from pre-K to college come to learn about the land, taste new flavors, and engage in meaningful work. We intend to provide a place of joy and freedom, while learning together about the natural world, the social world, how they are impacted by each other, and who gets to make the decisions about access and impact. We take our work on the farm out into the community, where young people can connect with others around the food they help to grow. The Youth Farm Project was founded in 2009 by Ann Piombino, who is now our Lead Farmer and Educator, Dan Flerlage, who spearheads much of our fundraising, and is our Advisory Board Chair, and Katie Church, who is now our administrator. 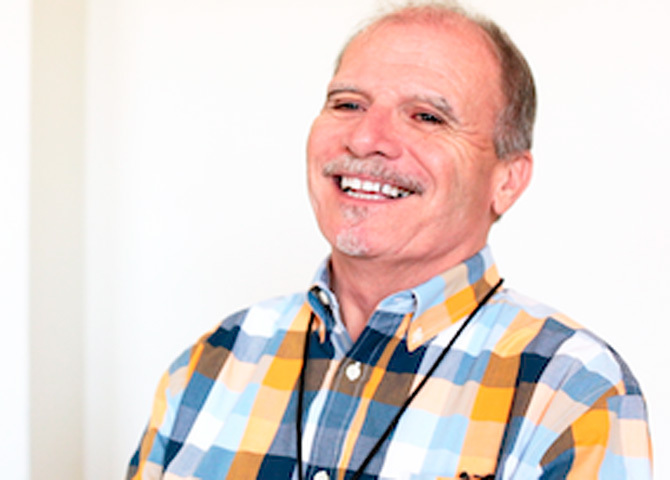 In 2014 Rafael Aponte joined us, and is our Director. In 2016 YFP merger with Woods Earth, and Audrey Baker and Vanessa Wood joined our team, Audrey in a dual-role as Fresh Snack Program Director and Farm to School Coordinator, and Vanessa as Fresh Snack Program Manager. Also in 2016 Octavia Sola joined our team as Farm and Food Justice Educator. Our summer seasonal staff for 2017 includes Adam MacDonald in the role of Assistant Farmer.